We’d love your help. 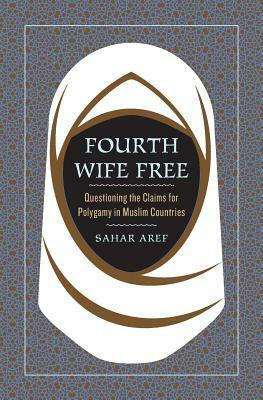 Let us know what’s wrong with this preview of Fourth Wife Free by Sahar Aref. Are the rising calls for a general polygamy practice, in Muslim countries, grounded and just? Do pro polygamy people possess solid evidence to support their arguments? Is the information spread out about polygamy in Islam accurate and complete? Reading Fourth Wife Free will supply you with the missing parts to help you perceive the whole truth and to differentiate accurate i Are the rising calls for a general polygamy practice, in Muslim countries, grounded and just? Do pro polygamy people possess solid evidence to support their arguments? Reading Fourth Wife Free will supply you with the missing parts to help you perceive the whole truth and to differentiate accurate info. Reading Fourth Wife Free will help Muslim women identify their rights, grow their confidence, and inspire others. Fourth Wife Free is simple and unbiased. To ask other readers questions about Fourth Wife Free, please sign up. I felt like I am walking with Sahar Aref through the pages of the book , as if she was talking to me live , she took me in a journey full of knowledge which is rich with proofs and real examples . She was honest and clear while performing the subject of Polygamy . Thank you Sahar Aref for this interesting journey. Egyptian Indie Author. Graduated in Girls’ Colleges, Riyadh, Saudi Arabia, majoring in English and Comparative Literature. At the American University in Cairo (AUC,) she studied translation first then studied for her Master's degree where she had a turning point by choosing to study sociology/anthropology. By that, she came closer to people, working with them and for them. She worked as free transla Egyptian Indie Author. Graduated in Girls’ Colleges, Riyadh, Saudi Arabia, majoring in English and Comparative Literature. She worked as free translator, as research assistant, sociology tutor then, in 2007, she started her career as Independent Author by publishing her first book in Arabic. Being interested in human development and personal growth, Sahar became student and follower of the Late Dr. Ibrahim Elfiky's - leading Egyptian expert in success and personal growth. With him, she was awarded a Trainer's and an Assistant Hypnotist's certificates. Sahar contributed in Brian Tracy’s best seller, Cracking The Success Code (2012,) where she shared insights on an episode of her personal success. Writing on success and personal growth, Sahar sees that Western and Islamic principles of personal growth are almost identical. She also sees that when she writes on family, relationships and women's rights, she doesn't only defend women's rights buy also defends the whole family's rights. For Sahar, when women enjoy their rights in full, their family members enjoy healthier and more valuable existences.